AcuPlan Hawaii Honolulu Hawaii :: Treasurer - Dr. Gloria Martin, D. Ac. 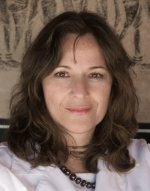 "Dr. Gloria Martin is a licensed acupuncturist, doctor of acupuncture, and certified doctor of Naturopathy with over 20 years of experience in acupuncture, herbology, and other healing arts. Dr. Martin was a pioneer in the legalization process of acupuncture in the State of Hawaii. She has served as a Director of the Hawaii Acupuncture Association; she is presently the President of Acuplan Hawaii, and an Associate Research Member of the Occidental Institute Research Foundation. She is the Founder of Hawaii Acupuncture and Bioenergetic Institute Inc. Dr. Martin lectures and practices in Europe and Asia, her lectures are esoteric, on the topics of health, healing, vedanta philosophy, bhakti yoga, and the healing power of meditation, mantras and mudras. She often travels to remote villages in India where she provides free treatment for jaundice, hepatitis, malaria, typhoid fever, and others. Dr. Martin has a very particular approach to diagnosis and treatment. She has helped thousands of people afflicted with all types of acute or chronic health problems, by integrating her extensive knowledge and experience in the field of Chinese medicine with deep wisdom and healing ability. Dr. Martin has being treating cancer patients for over twenty years; she is an expert in the treatment or orthopedics and fibromialgia. Many of her fertility babies have grown up and they are now in their teens and twenties. Many of her older male patients are happily experiencing rejuvenation, and her older female patients are looking joyful after taking her facelift and rejuvenation treatments. Dr. Martin's patients are coming to see her from all areas of the Oahu, mainland USA and Japan. "Healing is an Art and an Act of Kindness"
• Trinity College of Natural Health.